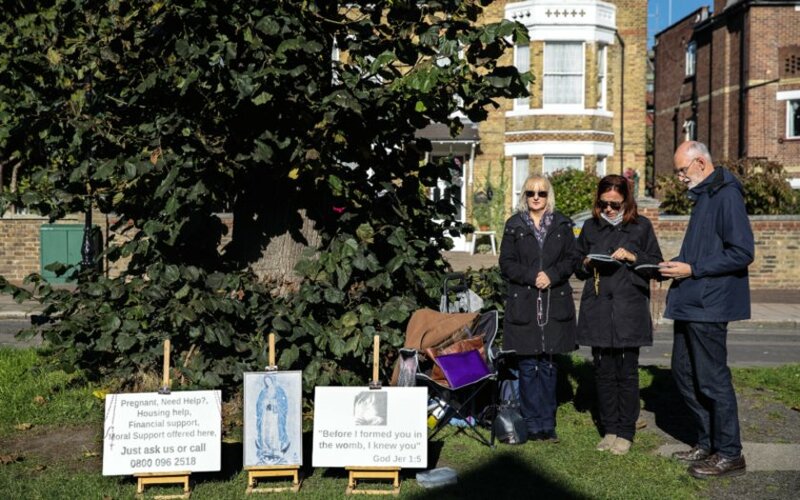 Just recently, a London council banned prayer vigils from taking place outside of an abortion clinic, the Catholic Herald reported. In another step against the unborn, Ealing Council voted unanimously to declare it illegal for pro-life vigils to take place near the entrance of the Marie Stopes clinic, the U.K.’s version of Planned Parenthood. The decision was opposed by many, including mothers who had decided to keep their babies after receiving help from the prayer vigil attendees. Ealing Council used a “Public Space Protection Order,” a controversial legal tool, to bar public citizens from praying and providing support to those entering the Marie Stopes clinic. As of April 23, the vigils will be legally banned from taking place within 100 meters of the clinic. The Council might have felt pressure after more than 100 MPs signed a letter to stop the prayer vigils from happening outside the abortion clinic. Jeremy Corbyn, the leader of the Labour party, and Vince Cable, leader of the Liberal Democrats, both signed the letter. The letter coincided with the 50th anniversary of the 1967 Abortion Act, which legalized abortion in Britain. Those advocating for the prayer vigils collected stories on a site called Be Here For Me, which publishes testimonies from women who claim these prayer vigils saved the lives of their babies. But after speaking to a woman attending a prayer vigil, she discovered that there was hope for her and her unborn child. She was told that she could receive support from The Good Counsel Network, an organization in Britain that helps mothers in need. The woman at the vigil assured her that she would have the help that she needed when it came to housing and food. Her baby is now 10 months old. Those arguing for the ban against the vigil accused the peaceful crowds of harassing women. Alithea Williams, from the Society for the Protection of Unborn Children, called the Ealing decision “truly authoritarian” and hinted that there is room for a legal challenge to be made. Other councils around the U.K. are considering implementing the same bans. In the meantime, Home Secretary Amber Rudd has launched an official review of the case.